Martyr square is a public square in downtown Beirut,Lebanon. 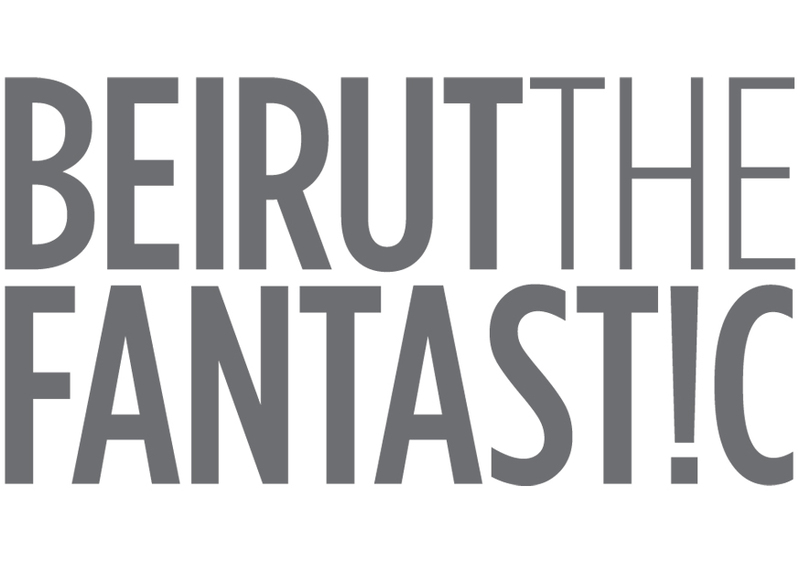 Its history is the story of Lebanon, eventful and dramatic. 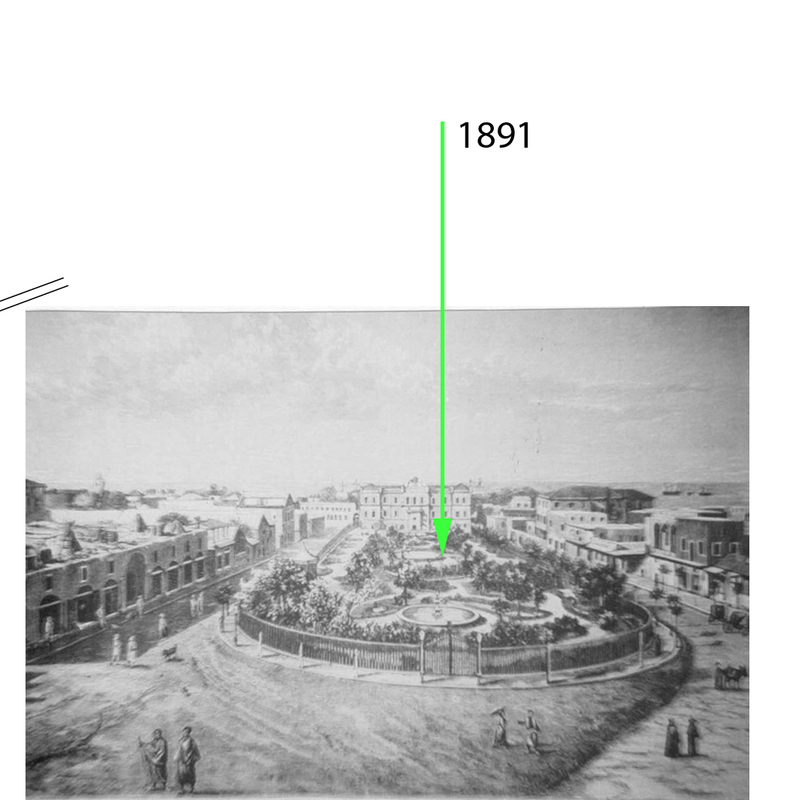 The story of this square starts in the 1920s and today awaits in limbo. 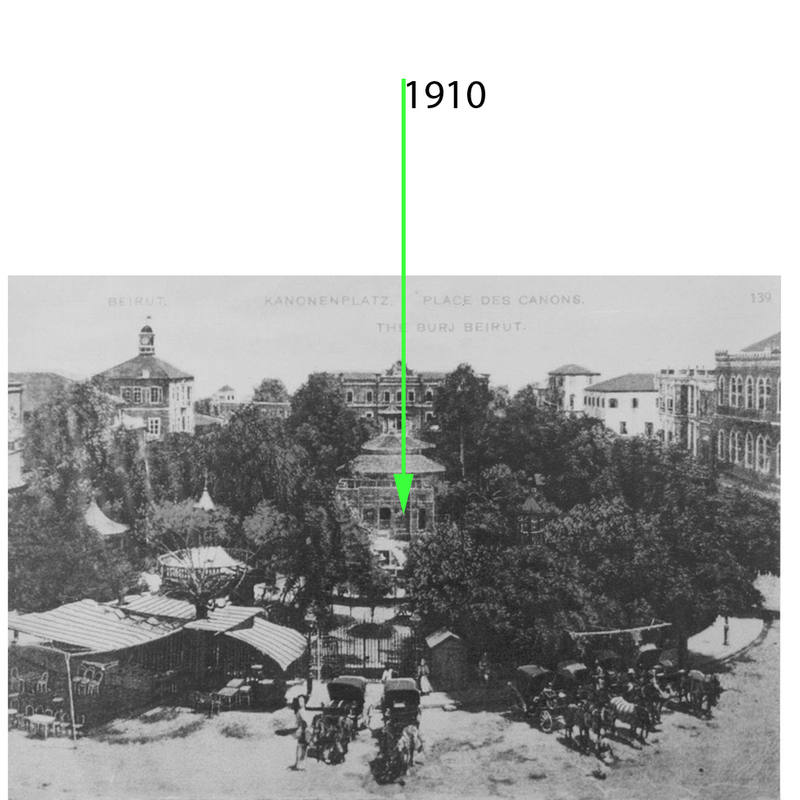 During the Ottoman period, the square was known as Canon square. During the Ottoman rule, when world war 1 discriminatory practices against the locals took place a revolt occurred. This resulted with the square being used as an execution for Lebanese nationalists. After the ottoman period ended and due to the events that occurred in this square the name was changed into Martyr Square in the name of the nationalist martyrs. Martyr square was always the center of the city, geographically, physically, socially and politically. In the 1970s when the social fabric of the city fell apart martyrs square got its fair share of hatred, bullets, and death. 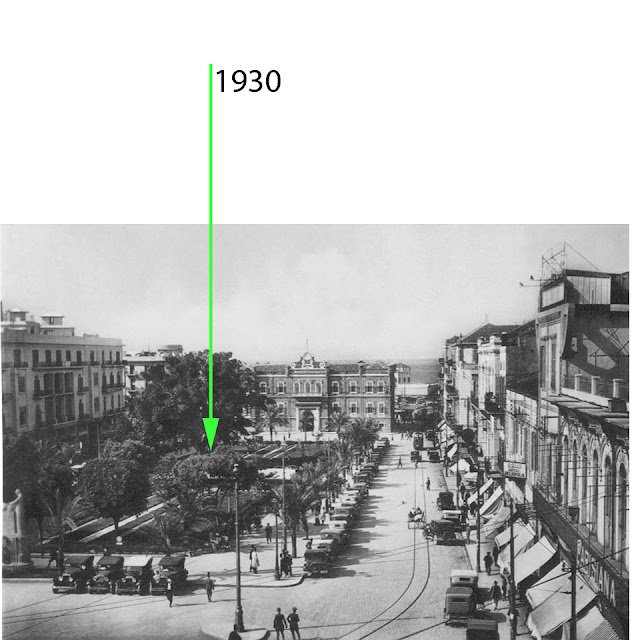 The green line divided the city of Beirut into east and west and passed through the square in a no mans land. 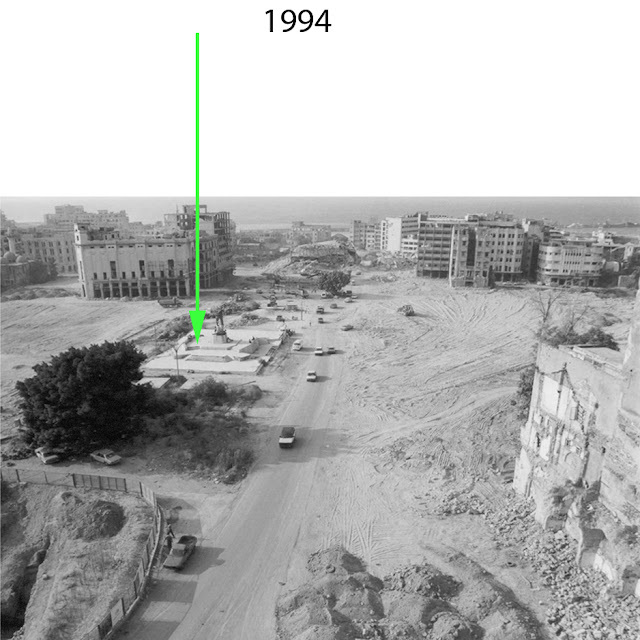 In the early 1990s when the war was finally over the surrounding buildings were razed to the floor to start a period of 'reconstruction' and amnesia. 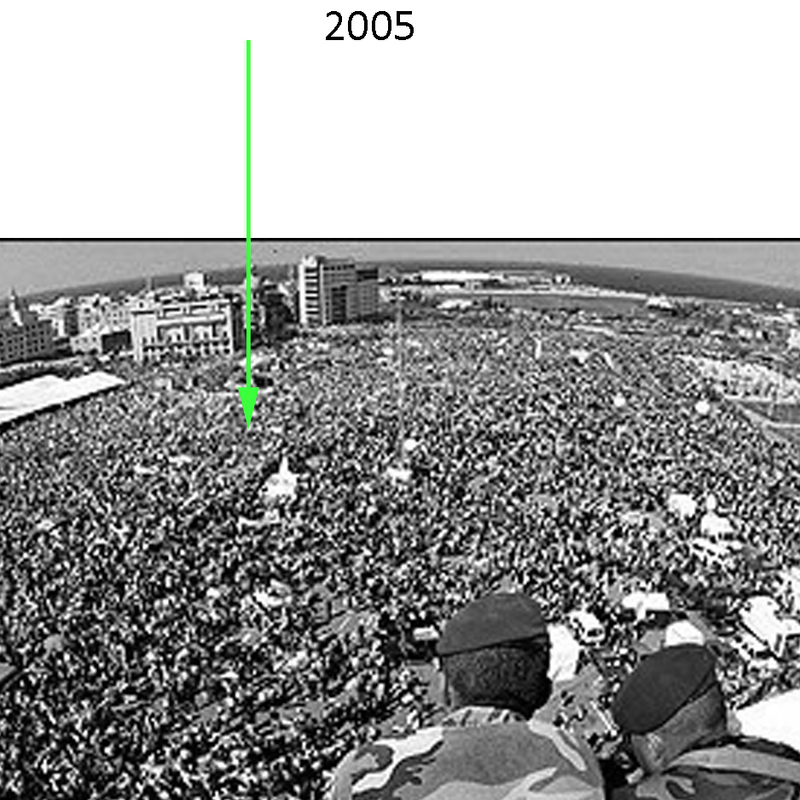 In 2005 On the day of the demonstration and those that followed the statue seemed alive. It became a center again crowded with demonstrators hopes, banners and flags. More than 20 years later the square remains a void in the city with big plans. 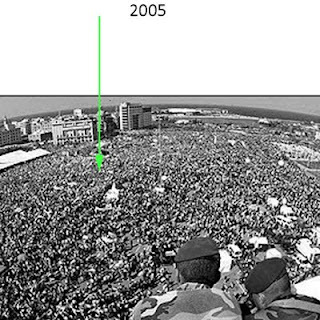 Does the square today still symbolize the reality of the Lebanese geography a waste land of ideas and dreams of an unreconciled history? I love your photos of Martyrs Square. 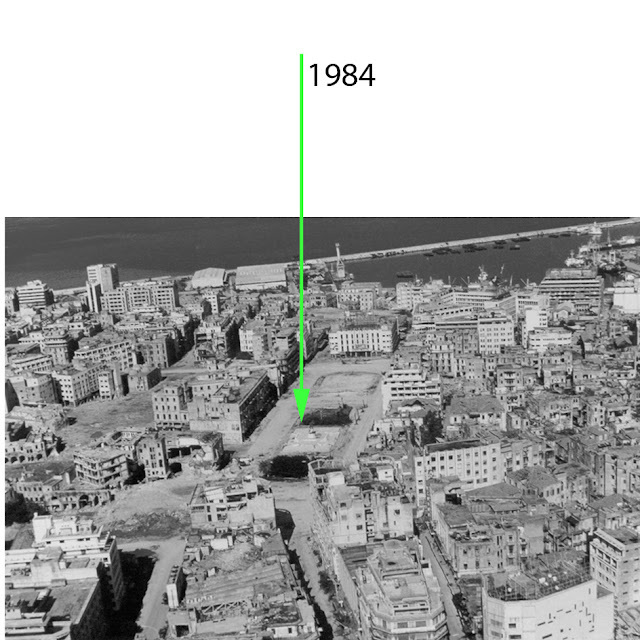 I am writing about the Square for my graduate thesis and I have had trouble finding photos of the Square after the war, only have one (AUB didn't have any in their collection). I wanted to see if it was ok if I used the photo from 1994 or if you could let me know where you found it and I can write to the publisher. Sorry I didn't notice you had replied any earlier, which email should i send you the pics to? Great pictures, thanks for posting. The 84-94 transformation is so visually dramatic. Yet even in the 84 picture there seems to be a few gaping spaces. I wonder if these were empty plots or also cleared by bulldozing. 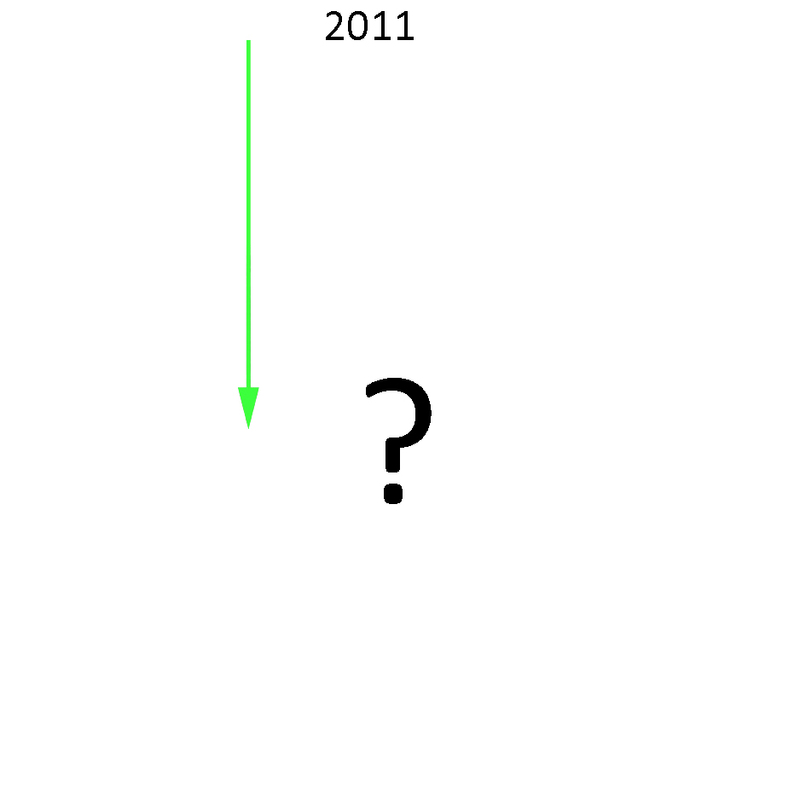 The saddest thing is how the void is being built one bit at a time since it is where 1.5million started a revolution in 2005, one that was supposed change the country. Obviously if the center of the revolution is vanishing, the revolution doesn't really exist. 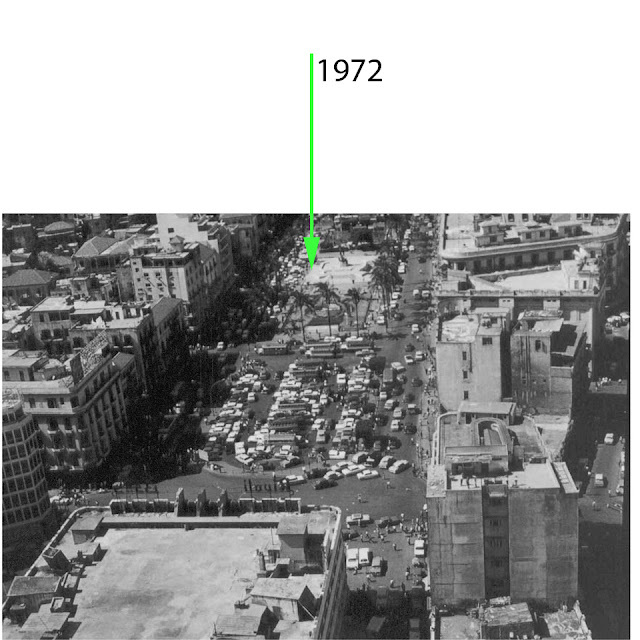 The same applies to Riad El-Solh square, nouvel's landmark now occupies a space that was once a direct channel of public expression.